Despite the appearance of many more or less controversial theories about healthy eating and proper balancing of the menu, there are dietary facts that everyone knows in their depths, with whom, if you recall them, almost everyone agrees. The problem is only their practical implementation. It is therefore worth vacuuming and recalling some obvious rules regarding the quality of the diet and the importance of their practical implementation for health and appearance. However, eliminating sugar can be very difficult, because if you look at the composition of most food products, you will find there items such as glucose-fructose syrup, corn syrup, sugar (sucrose), dextrose, honey, fructose. Meanwhile, it is worth remembering that excessive consumption of products that are a source of sugars is not only a blow aimed at an aesthetic figure, but also a greater risk of developing atherosclerosis, diabetes, hypertension and many other nuisance and dangerous accidents. Some scientific studies point to the possible important role of sugars in accelerating the body’s aging processes. Therefore, if you care not only about health, but also beauty and young appearance, give up poor quality products, which undoubtedly are sweets, cakes, colorful drinks, fruit yoghurts, breakfast products, etc. Despite the inflated campaign informing about the ranks of benefits resulting from the adequate supply of omega 3 acids, we are still supplying them too little. Sea fish far too rarely appear on our tables, and if it is in the form of breaded and fried panga, which does not contain these fats. 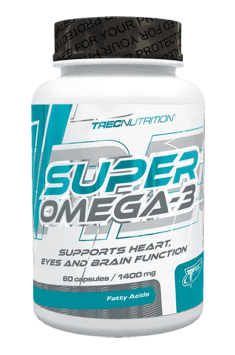 It is worth remembering, because the omega3 deficiency is associated with an increased risk of inflammatory diseases (especially if it is accompanied by an excess of fatty acids from the omega 6 family), obesity and may affect the condition of the nervous system. The source of these fats are sea fish, chicken eggs (slow-run, ecological eggs, omega 3 eggs), seafood, some algae, linseed, linoleic oil, walnuts, oil and … supplements.